Svechnikov is in the concussion protocol, according to the team. 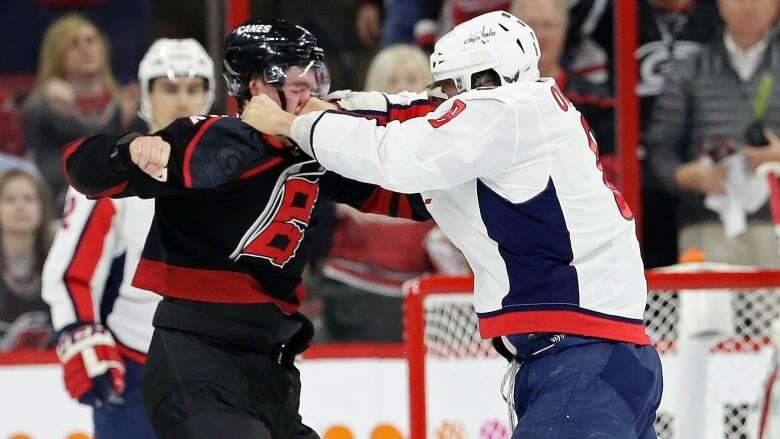 Coach Rod Brind'Amour said Tuesday that he assumes Svechnikov, who was wearing a helmet, will miss Game 4 of the best-of-seven series Thursday night. He added he's "going to be real careful" and is "certainly not going to rush him back." "We all battled together. All 20 guys battled hard. ... [Svechnikov is] our brother, and we stand up for each other. We knew we needed to get this win, not just for us, but for him," said fellow Hurricanes rookie Warren Foegele, who had two goals and an assist on Monday.